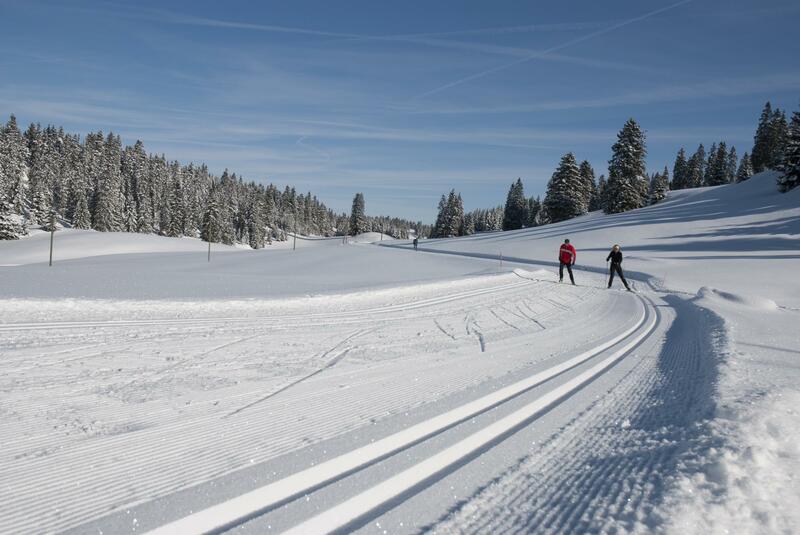 Cross-country skiing in Switzerland allows you to go at your own pace while you enjoy the stunning snow-covered scenery. The Joux Valley is one of the biggest and most famous cross-country skiing areas in the country and Central Europe. The Joux Valley is known for its natural environment and wide open spaces. 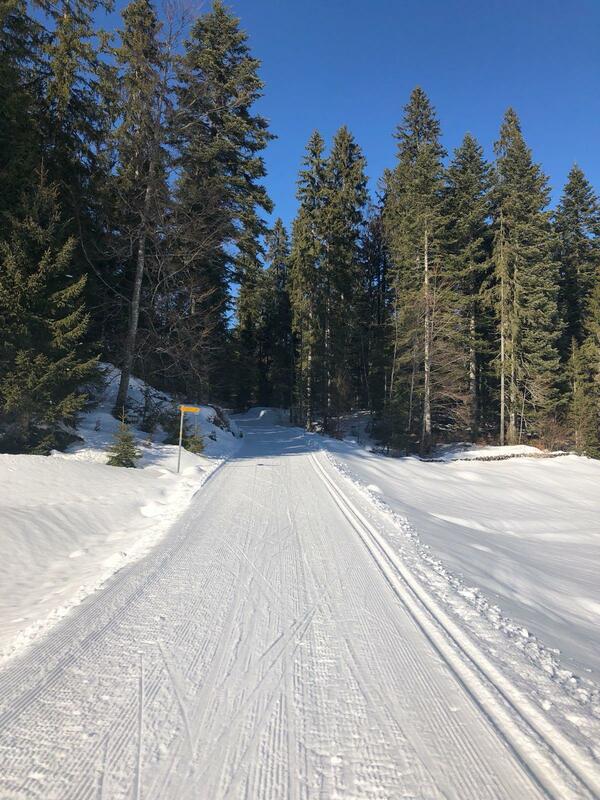 In winter, the snow brings a touch of magic to the unspoilt scenery of this valley and cross-country skiing is the ideal way for the whole family to make the most of all this winter beauty. With trails adapted to all levels, this 220 km area is one of the biggest of its kind in Central Europe. From the shores of Lake Joux to the Risoud forest, the well-groomed slopes maintained by the region’s four Nordic Centres guarantee the best conditions for children and adults alike. Equipment is available to hire from the sports shops in Le Sentier, L’Abbaye and Le Mollendruz. Passes can be purchased at the start of the main trails or at the tourist office. Find complete information on snow conditions and trail status in the menu on the right.